Art League Announces Agreement with Urbana and Public Reception to Discuss 2011 Plans for C-U. URBANA, IL – The Public Art League and the City of Urbana have entered into an agreement to bring public sculptures to Urbana. On June 6 the Urbana City Council approved Resolution No. 2011-05-018R authorizing and approving an agreement with the Public Art League of Champaign-Urbana for installation of public sculptures in cooperation with the City of Urbana and the Urbana Arts Council. The effort was initiated by the Public Art League Board of Directors in March, presented to the Urbana Public Arts Commission and City Council through spring and early summer, and is now in force. The group also announced the organization's 2011 informational meeting/reception/mixer to be held at Buvons Wine Bar in the Corkscrew Wine Emporium on Wednesday, July 20th from 5:30-7:00p, 203 N Vine St. Urbana, IL. The event is open to the public and Public Art League encourages participation by it's members, the public, area businesses, and everyone interested in public art in the broader community. The League will present an update on the organization's activities, showcase the winning sculptures from the latest national competition, and discuss plans for the year. Detailed information is available here . The Public Art League is a 501(c)(3) not-for-profit corporation that is funded by Friends of the Public Art League and private sponsorships. The League’s purpose is to improve the aesthetic awareness and creative climate in our community by promoting public art in the form of a permanent sculpture collection in and around Champaign County. The goal of the League is to place sculptures throughout the Champaign-Urbana community through fund-raising and national artist competitions. Selected sculptures will be installed in the community metro areas and will serve as major visual anchor points, community identity and a statement that creativity and art are of vital importance to our existence in Central Illinois. Days of Venus by Sculptor Will Cavanaugh was installed June 30th at the corner of Park and Neil. The 1000 pound sculpture of cast iron, copper, and steel was hoisted into place near the Chicago Title Insurance Building, bringing to 10 the number of sculptures placed by the Public Art League. URBANA, IL – The Public Art League announces an open invitation to meet the Board of Directors and learn more about the organization's plans for 2011. The 2011 informational reception/mixer will be held at Buvons Wine Bar in the Corkscrew Wine Emporium on Wednesday, July 20th from 5:30-7:00p, 203 N Vine St. Urbana, IL. The event is free and open to the public and Public Art League encourages participation by it's members, the public, local business interests, and everyone interested in public art in the broader community. The League will introduce the Board of Directors, review activities since the last public meeting, and discuss activities and plans for 2011, the agreement with Urbana, and recent sculpture sale and sponsorship activity. The League recently completed a national sculpture competition with outstanding response, and will be presenting information and images of over a dozen winning entries which are being planned for placement. Hors d'œuvres will be provided and a cash bar will include specialty wines by Lisa Gustafsson of Heritage Wine Cellars. Membership materials and registration will be available. Join us on Friday, March 11 as Indi-Go Gallery welcomes Mezzo-Soprano, Elizabeth Buckley. Proceeds from the event will benefit the Public Art League, but act fast as seating is limited. Proceeds from the event will benefit the Public Art League whose focus is the installation, maintenance and promotion of public monuments, sculptures and other public works of art. In 2010, the organization leased and installed eight sculptures in downtown Champaign. Join us on Friday, March 11 from 7:00 - 8:30pm at the Indi-Go Gallery (9 E. University Ave., downtown Champaign). Entry is $35 with proceeds benefitting the Public Art League. Wines will be available by the Corkscrew Wine Emporium. The Public Art League announces expansion of it's Board of Directors. Beginning in January the Board began a process of nominations and interviews of candidates in order to expand the capabilites, experience, and diversity of the board. This process resulted in the addition of 3 new directors, Robin Hall, Roopali Malhotra, and Alan Mette. Robin Hall brings significant experience in public arts, including the development of the Wandell Sculpture Garden in Meadowbrook Park and as Chair of the Urbana Arts Commission. 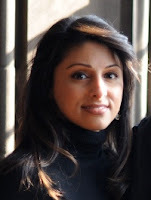 Roopali Malhotra adds noteworthy legal experience and experience in public arts service and fundraising with the T.F. Arts for Humanity Foundation in New York City, and the Chicago South Asian Arts Council. Alan Mette brings a distinguished career in the arts, teaching, and administration, serving on numerous instituational committees and as Executive Associate Director for the School of Art + Design at the University of Illinois. Their significant talents, relationships, and experiences will enable the Public Art League to expand geographically, engage arts-based foundations, and engage a wider section of the community, including expansion into Urbana, and engaging the University community. Robin Hall is the Director of the Office of Recreation and Park Resources at the University of Illinois. Prior to this, he was the Director of the Urbana Park District. One of his favorite projects while at the Park District was developing the Wandell Sculpture Garden in Meadowbrook Park. 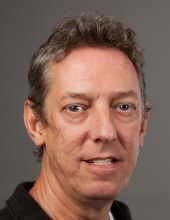 Hall currently serves as the Chair of the Urbana Arts Commission. He has served on several Boards including the Champaign County Convention and Visitors Bureau and the Champaign County Arts, Culture and Entertainment Council. He was part of the group that formed the latter. Hall co-chaired the 2003 Boneyard Festival. Robin has a passion for the arts, parks and land preservation. Roopali Malhotra joined PAL in 2011 and primarily focuses on soliciting funding for the organization through private and public grants. Raised in Danville, Illinois, she pursued her undergraduate and graduate degrees at Pennsylvania State University and University of Pennsylvania before returning to the University of Illinois to attend the College of Law. She currently serves as an attorney for the Office of University Counsel, and has previously assisted with matters for the T.F. Arts for Humanity Foundation in New York City, as well as the Chicago South Asian Arts Council. 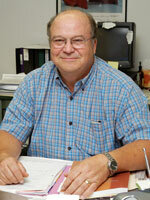 Alan Mette has been a member of the Champaign-Urbana community since 1981. He is a Professor and Executive Associate Director for the School of Art + Design at the University of Illinois. He received a Master of Fine Arts from Michigan State University, Master of Arts from the University of Illinois and a Bachelor of Science degree from Wayne State University. He has served on numerous university, college, and school committees and has exhibited widely in regional, national and international exhibitions. Alan is the recipient of the Arts Achievement Award for Distinguished Alumni from Wayne State University and the Campus Award for Excellence in Undergraduate Teaching from the University of Illinois. The Public Art League was founded in 2010 to improve the aesthetic awareness and creative climate in our community by promoting public art in the form of a permanent Sculpture collection in and around Champaign County. Following a successful program in 2010 in conjunction with Champaign Park District and numerous sponsors and donors, the Public Art League will be announcing their 2011 sculpture competition.